After a holiday week full of ham biscuits, pimento cheese and sweet tea down in Richmond, I found myself with an abundance of one of my favorite Christmas stocking stuffers, Lindt chocolate truffles. While I enjoy eating the popable creamy treats as is, I decided to use the rich and creamy chocolate orbs in a sweet breakfast dish. Yes, chocolate for breakfast. 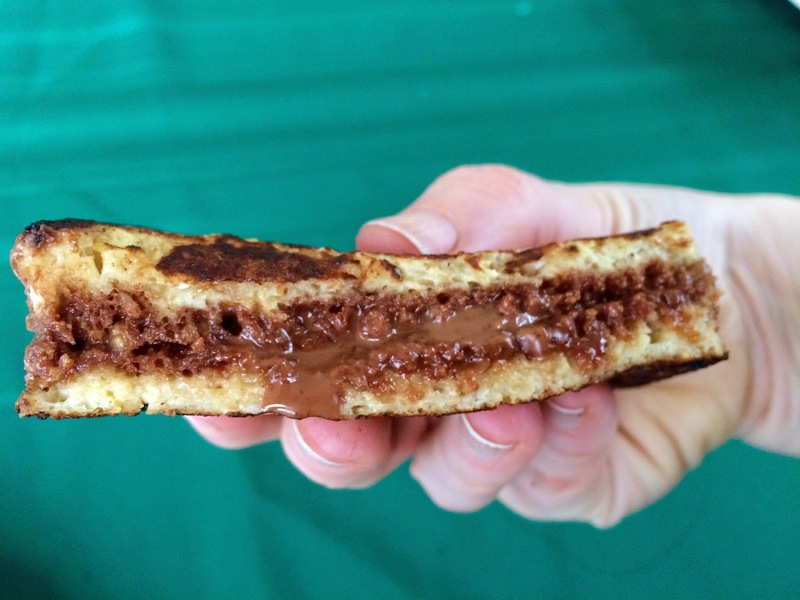 I was inspired by my time in Amsterdam where chocolate sprinkles were a common topping on buttered crusty bread. I sprinkled a layer of the chopped Lindt milk chocolate truffle bits in between two french toast-style slices of bread. Paired with a cup of coffee, these chocolate sandwiches are a devilish start to the day. In a large shallow dish, whisk together the eggs, milk, orange juice, cinnamon and salt. Lay 4 of the pieces of bread on your working surface. Spread the chopped Lindt chocolate bits evenly atop each slice of bread. Cover chocolate-topped slice with another piece of bread.Heat a large skillet over medium heat and add 2 T butter to the pan. One at a time, carefully dip the first side and second of each sandwich each into the egg mixture. Once the skillet is hot, place two sandwiches into the skillet and cook for 3 to 4 minutes per side until the sides are golden and slightly crisp and the chocolate is melted inside.. Remove the toasted sandwiches from the skillet and set aside on a plate. Repeat with the remaining butter and sandwiches. 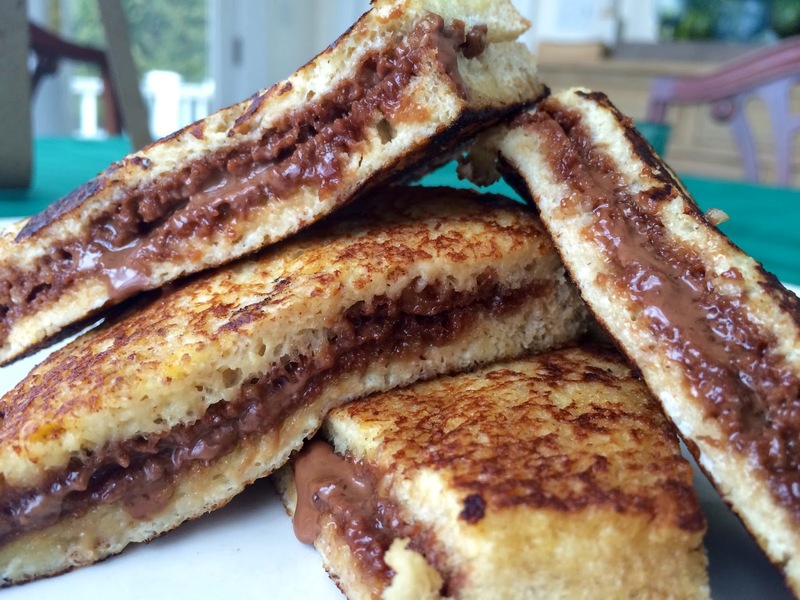 Cut each crispy grilled sandwich on a bias and dust with Confectioners’ sugar. Serves 2-4. Breakfast of champions! You could also cut the toasted sandwiches into smaller squares for a decadent dessert too.